UCI’s impact on our communities is the result of students, faculty, staff and alumni who want to make a positive difference. 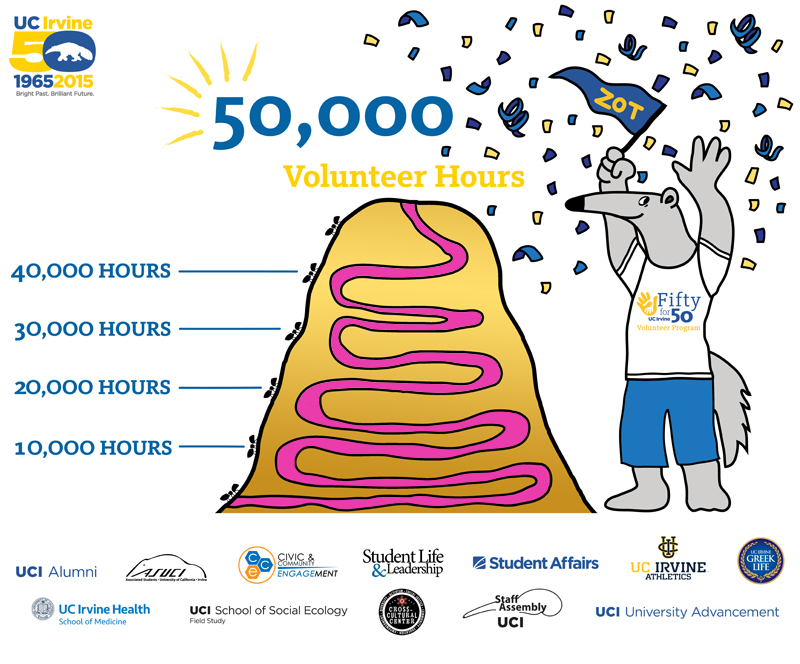 We invited the entire UCI family to help us demonstrate the importance of volunteering by donating 50 or more hours of their time and talent during the two-year 50th anniversary period. The result? More than 50,000 volunteer service hours. The Fifty for 50 Volunteer Program highlighted volunteer programs and civic engagement that helped UCI shape a bright future for the campus and the local community. This funding source is designed to provide opportunities for undergraduate students, graduate students, staff, faculty, alumni, and retirees/emeriti to extend their service efforts to include more participants and/or more projects through additional funding. Read more here. All events that were open to the campus community and/or funded by the Fifty for 50 project fund are showcased on this website. 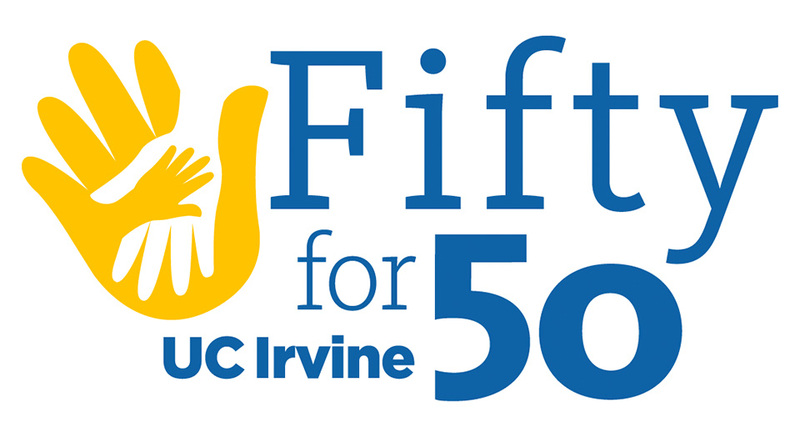 Click here to learn about past UCI Fifty for 50 events. Get Connected is a Web-based volunteer and service-learning management system for UCI. Get Connected is for the campus community (faculty, staff, students, organizations) and for community agencies (nonprofit, service-based organizations). Organizations seeking to promote their services and resources can create an agency profile on Get Connected. An agency profile will provide greater visibility to the UCI community. Once a profile is created, organizations may also access the site to enter event, donation or volunteer needs. To get started, create a profile on Get Connected. Use the filters to find nonprofit organizations that match your interests. Get Connected allows you to contact the organization, and track your volunteer hours. If the agency that you are providing the service for is not yet on Get Connected, share the resource or direct them to the Cross-Cultural Center to get them started. Groups and teams can also take advantage of Get Connected, by creating a profile an organization or signing up as a team. Use connected to track group service hours, or to find the right service match for your team. Faculty can utilize Get Connected to find service-learning sites for their course. Get Connected also can help manage and verify service hours.